QUEEN biopic "Bohemian Rhapsody" has been dropped as a nominee for the outstanding film category at this year's annual GLAAD Media Awards following new sexual assault allegations against director Bryan Singer. Singer has consistently denied misconduct, and called yesterday's bombshell Atlantic exposé "a homophobic smear piece." "In light of the latest allegations against director Bryan Singer, GLAAD has made the difficult decision to remove 'Bohemian Rhapsody' from contention for a GLAAD Media Award in the Outstanding Film – Wide Release category this year," GLAAD told Variety. "This week's story in The Atlantic documenting unspeakable harms endured by young men and teenage boys brought to light a reality that cannot be ignored or even tacitly rewarded." "Singer's response to The Atlantic story wrongfully used 'homophobia' to deflect from sexual assault allegations and GLAAD urges the media and the industry at large to not gloss over the fact that survivors of sexual assault should be put first. "The team that worked so hard on 'Bohemian Rhapsody' as well as the legacy of Freddie Mercury deserve so much more than to be tainted in this way. 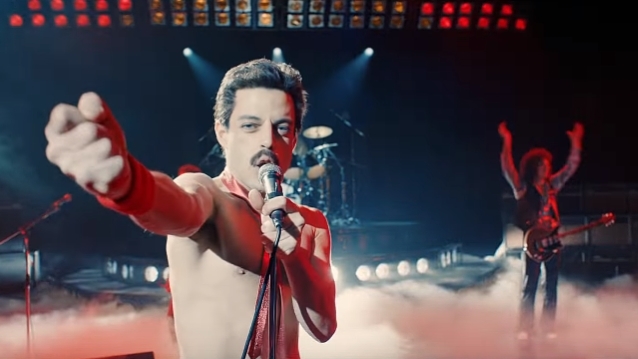 'Bohemian Rhapsody' brought the story of LGBTQ icon Freddie Mercury to audiences around the world, many of whom never saw an out and proud lead character in a film or saw the impact of HIV and AIDS in fair and accurate ways. The impact of the film is undeniable. We believe, however, that we must send a clear and unequivocal message to LGBTQ youth and all survivors of sexual assault that GLAAD and our community will stand with survivors and will not be silent when it comes to protecting them from those who would do them harm. "Other films that involve Singer now or in the future should take note of the backlash to The Atlantic story and other previous allegations. The industry cannot let those who perpetuate harms against anyone — especially vulnerable young people — go unnoticed or unchecked any longer." The Atlantic's exposé alleged years of sexual misconduct by the openly gay "Bohemian Rhapsody" director, and included new claims against him that he had sexual encounters with underage boys. In response to the allegations, Singer said in a statement: "It's sad that The Atlantic would stoop to this low standard of journalistic integrity. Again, I am forced to reiterate that this story rehashes claims from bogus lawsuits filed by a disreputable cast of individuals willing to lie for money or attention. And it is no surprise that, with 'Bohemian Rhapsody' being an award-winning hit, this homophobic smear piece has been conveniently timed to take advantage of its success." Singer was fired from the film and replaced by Dexter Fletcher for allegedly being "unexpectedly unavailable" for several days on set.